How many times have you deleted some pictures, videos or files from your home and have later wanted to access them? Very few people have enormous memory on their phone and most people are compelled to delete something or the other almost every week. Some people take regular backups on their Windows or Mac but that too is not a very easy process. In addition to the willful deletion of files, pictures and videos, there is the reality of losing the data for no fault of yours. It could be accidental deletion or just a corrupt folder, problems with the memory or some phone issues that will render the drives inaccessible. You need a data recovery app that will help you to retrieve all the files you want. However, you should have the freedom to choose which files you wish to retrieve and which ones you want to let be. Surely your phone would not have unlimited space to recover all the data ever deleted from the system or memory. The option to choose must be there and there should be a surefire data recovery app that will actually work. Mobile systems are not exactly like computers or laptops. The onboard memory offers storage space but is not the exact piece of hardware as the hard disk in your computer or laptop. You don’t need any random data recovery tool but a data recovery app that knows how to retrieve data from mobile or cell phones. The software must be accustomed with the Windows, iOS and Android operating systems aboard the phones or iPods. The most surefire data recovery app you can get is Boomerang Data Recovery. 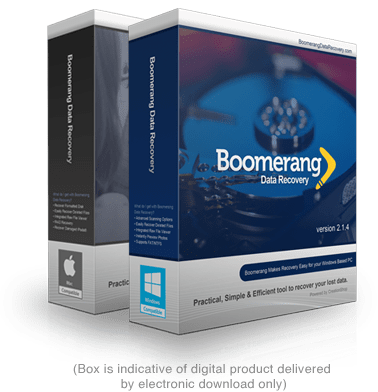 You can use the full version of the Boomerang Data Recovery software on your Windows or Mac computer or notebook. 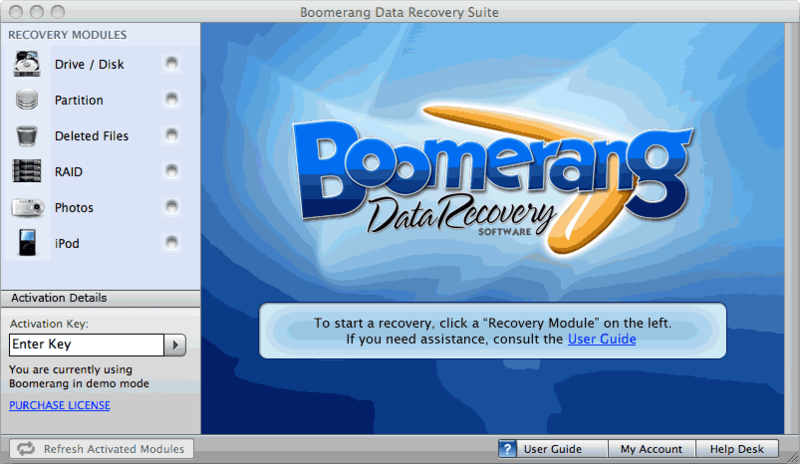 You may also access the Boomerang data recovery app on your phone and iPod. The software interface is pretty simple, so is that of the app. You would need to choose the function you need to use at the moment and go through the subsequent options to recover all the data you need or want. You don’t have to export the data after being retrieved in its entirety. You can select the files you wish to retrieve. You will have the interface clearly laying out the deleted and undeleted files for you. Pick the ones you need to recover and have them restored to their prior location on the phone or you can have them exported to your desktop/notebook.